Service Charges: As per customer requirement. We are a top notch service provider of Chair Decoration. Banking on our enriched industry experience, we are able to supply Chair Decoration. We are engaged in offering Chair Decoration. We are a top-notch organization, engaged in providing Chair Decoration. 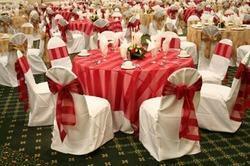 We are engaged in offering Chair Cover Decoration Service. Our reputed entity is engaged in supplying Chair Decoration. 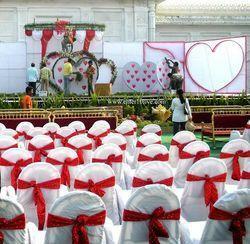 In order to meet excellent quality standards, we are supplying Chair Decoration.